A 2010 study found only 30% of those on a weekly regimen and 48% of those on a monthly regimen kept taking their medicine a year after they start, http://www.ncbi.nlm.nih.gov/pmc/articles/PMC2788149/#!po=1.66667 A study by scientists working for the drug company Merck found half of patients stop using their prescription medicine within a year of starting. Another study published in 2012 found adherence at 12 months only 50% and lower after that. This study included osteoporosis patients with a variety of regimens. Adherence, also called compliance, is about whether the patient follows the regimen prescribed by the doctor (e.g. timing, dosage, frequency). Persistence refers to continuing the treatment for the as long as the doctor intended, which is frequently indefinitely in the case of chronic conditions like thinning bones. 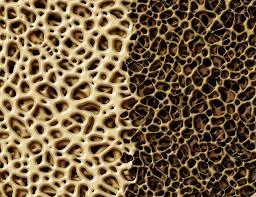 Why might people stop taking their osteoporosis medicine? On a society-wide basis, more than half the potential benefit from oral bisphosphonates could be lost because of poor adherence. Which is unfortunate, because retrospective analysis has shown that adherence to oral bisphosphonates is associated with a significant reduction in fracture risk. But YOU HAVE TO TAKE YOUR PILLS. A meta-study even concluded there is a "clear inverse relationship between therapeutic adherence and mortality." That should scare you straight. A Chinese study found better adherence to alendronate than to raloxifene or calcitonin. Here’s another even more extreme form of non-adherence: not even getting the medication in the first place. A retrospective cohort study of over 8000 patients who had been prescribed bisphosphonate medications found 29.5% did not even pick up their medication. How can the medical community increase adherence? A survey in Switzerland found an overwhelming majority of bisphosphonate patients prefer once-per-month pills rather than once-per-week or daily. A pilot study found that pro-active follow-ups by health care practitioners increased bisphosphonate adherence in the long run Whether this is economically feasible as part of an overall health maintenance program is unclear. An Italian study of adherence of the injectable drug teriparatide found quite good rates. After 18 months over 80% of patients were still using the drug. This is much higher than numbers usually seen in studies of bisphosphonate usage. The higher numbers may be due to the severity of the patients in this study. In general teriparatide is prescribed to people with more advanced osteoporosis and never to those with osteopenia. Patients may be "scared straight" into persisting with the regimen, and it is possible that the injection makes it seem more like a serious drug in the patient’s mind. Once a year IV infusion of osteoporosis medication as opposed to daily or weekly pills may seem to defy common sense pharmacokinetics but it works and many patients prefer it. Zolendronate can also be administered by intravenous infusion. It's an outpatient procedure - the person lies on a bed in a clinic for four hours while a saline solution of zolendronic acid is injected. This method is valuable for patients who can't stand up for very long as well as wheelchair users. When you take oral bisphosphonates you are supposed to remain standing after swallowing the pill for an hour or so to prevent irritation to the esophogus. Patients with dementia who cannot remember to take the oral pill on schedule also benefit from IV administration. If you are interested, discuss this option with your doctor.